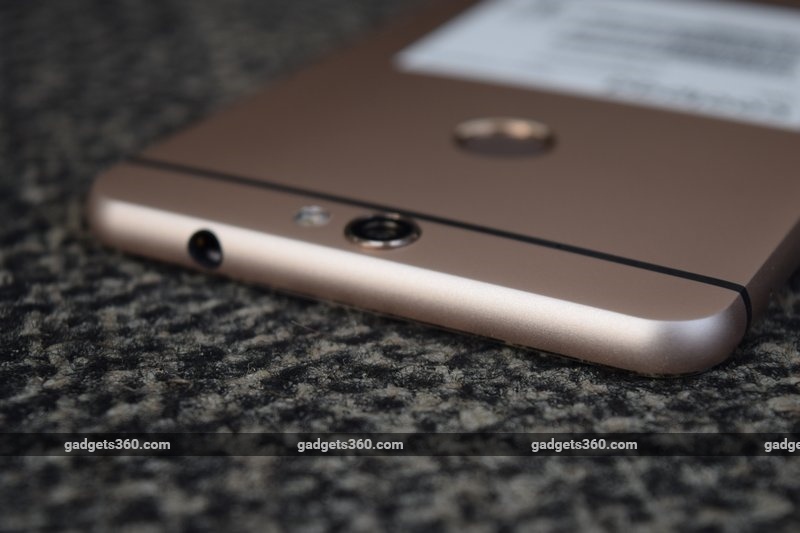 The new Coolpad Max has a metal body with a curved-edge glass front. Users get an encrypted &quot;private space&quot; for sensitive apps and data. The phone has a Snapdragon 617 SoC, 64GB of storage and 4GB of RAM. Coolpad officially entered India in partnership with Dazen almost exactly a year ago, but that venture ended just months later. The two Chinese partners then carried on individually, and the company we now know as Coolpad has since then concentrated only on the sub-Rs. 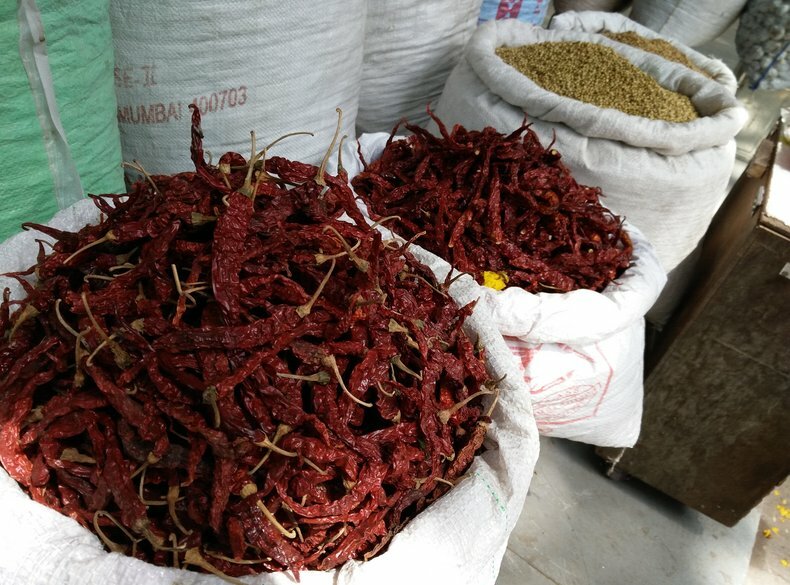 10,000 market with the Note 3 (Review | Pictures) and two subsequent variants. Priced at an ambitious Rs. 24,999, the new Coolpad Max is a significant launch by the company, and could help propel it into the big leagues. 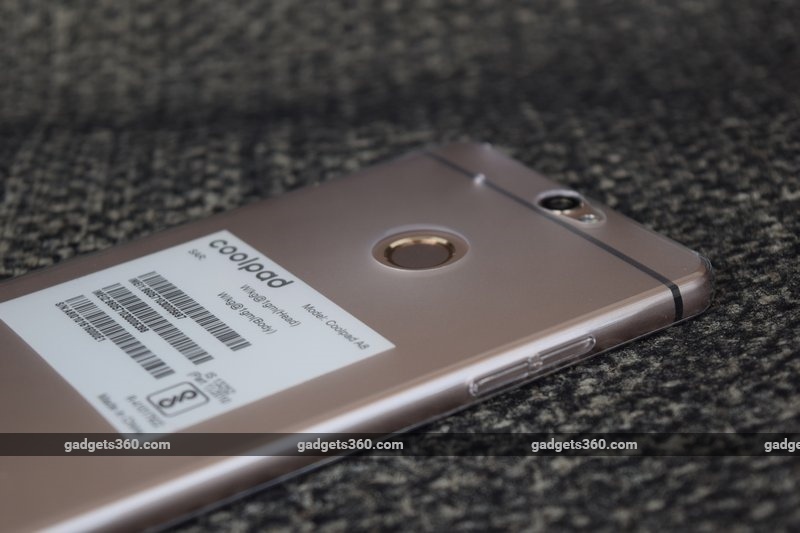 Unlike the Note 3 siblings, the Coolpad Max is trying its hardest to be premium. It has a metal body, curved-edge glass, a surprisingly packed spec sheet, and it even comes in a fancy box full of accessories. Let's see whether the company has what it takes to step up its game. 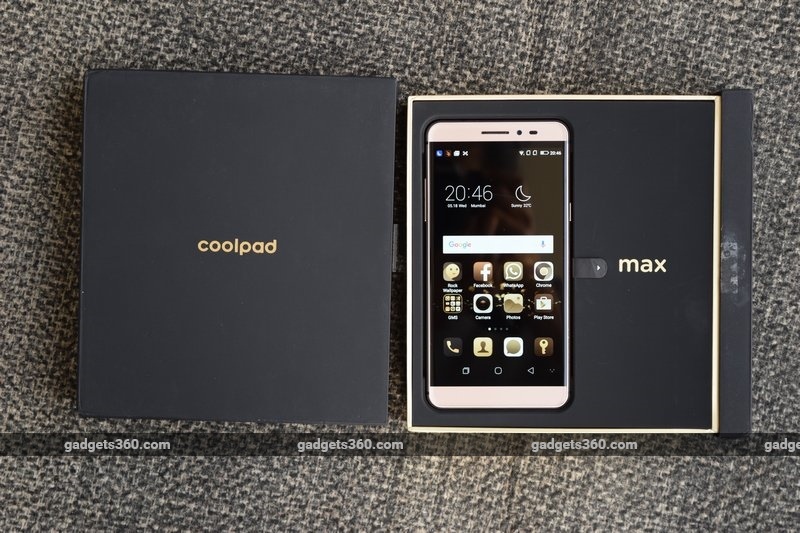 The Coolpad Max arrives in a fairly elaborate black box with gold lettering. You slide it open and then lift the phone out of its recessed tray. Below that, you'll find an arrangement of black boxes that hold the accessories. You get a Quick Charge-compatible charger, a flat USB cable, a wired headset, a clear plastic case, an adhesive screen protector, and a SIM eject pin. The presentation is clearly meant to impress buyers and drive home the phone's premium aspirations. The device itself looks like a mashup of recent designs from Apple and HTC. 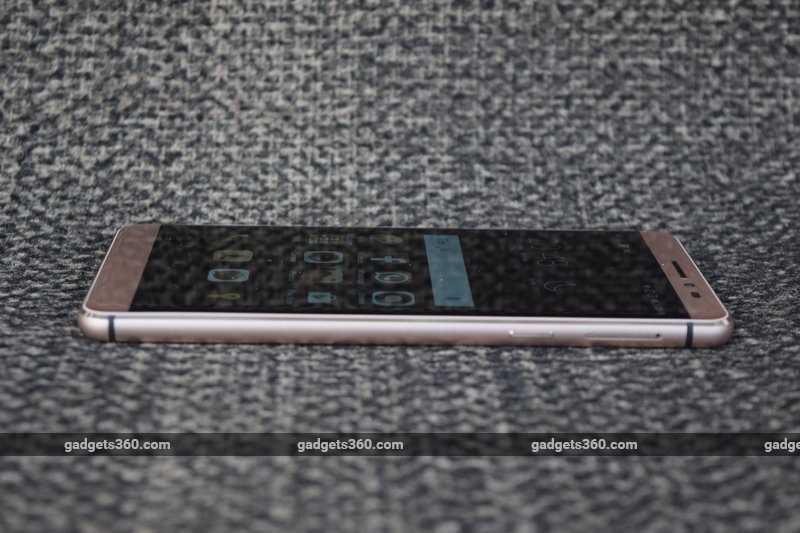 Our review unit was a warm Royal Gold colour - there's also Rose Gold option, but the neutral grey version has not launched in India, which could put some customers off. Everyone seems to be going for this look nowadays, and we've been seeing it on a large number of low-cost Android devices. The phone's front face is covered in Gorilla Glass 4, which has bevelled edges. The glass is pretty reflective, and the edges catch the light every time the phone moves even slightly, which can become a little distracting. The earpiece grille, front camera and sensor window are above the screen, and the chin below it is blank thanks to the use of on-screen buttons. You'll find the power button and SIM/microSD tray on the right. 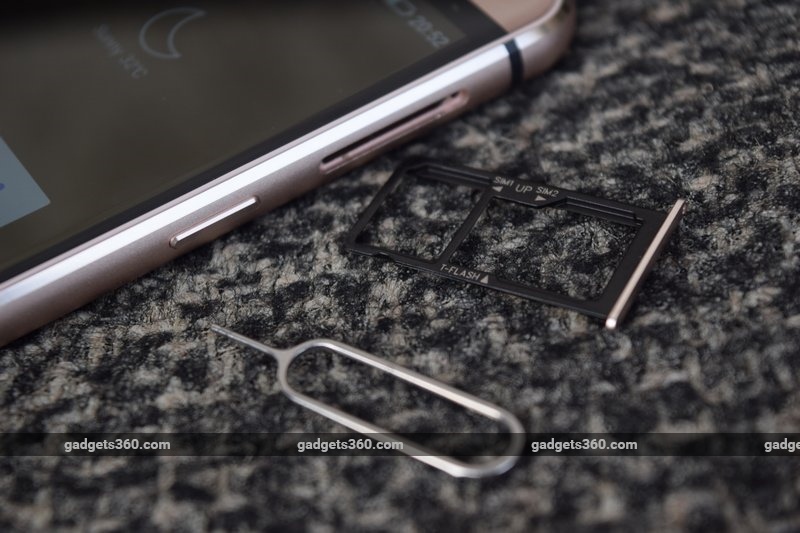 There's one cutout for a Nano-SIM and another for either a second Nano-SIM or a microSD card - you'll have to choose between the two. The volume buttons are on the left, the 3.5mm audio socket is on top, and the Micro-USB port is on the bottom flanked by two grilles, only one of which is actually a speaker. The rear of the phone is matte metal, which feels quite nice, but is unfortunately marred by a huge white sticker with regulatory information. The one on our review unit was crooked and off-centre, and really spoiled the whole look of the phone. Above the sticker is a recessed round fingerprint sensor with a shiny ring around it, and right at the top is the protruding camera with its two-tone flash to one side and a mic hole to the other. Grip is pretty good, though the edges could have been rounded more smoothly. The phone is a bit heavy at 170g and its back is just a little slippery. We felt a lot more confident with its thin plastic protective case on. 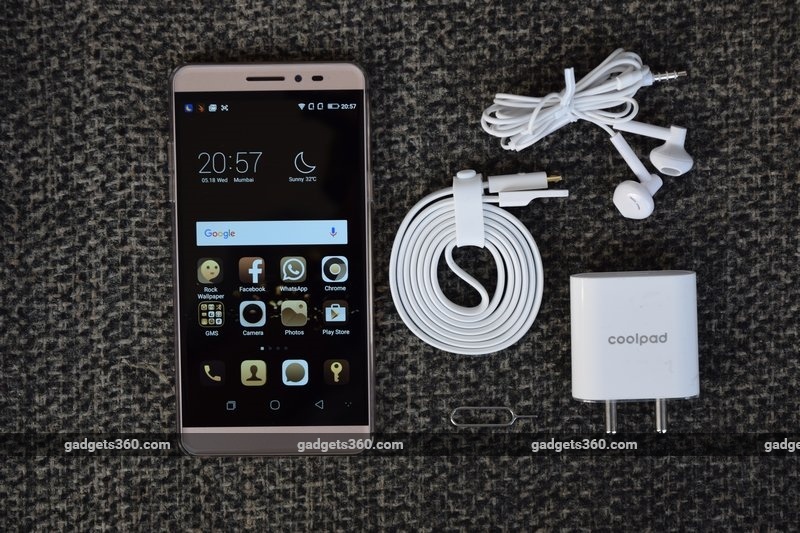 Overall, the Coolpad Max is definitely a premium-looking phone, but not necessarily the most attractive at this price point, and it remains to be seen how well the finish will hold up over time. The Coolpad Max, also known as Coolpad A8, is available with different hardware configurations in different parts of the world. Our review unit, which is the only version launched in India, had a 1.5GHz octa-core Qualcomm Snapdragon 617 SoC, 4GB of RAM, and 64GB of internal storage space. The SoC might be slightly underpowered for this price point, but the storage and RAM are more than generous. There's a 5.5-inch 1080x1920-pixel screen, which is also pretty much par for the course these days. There's a 13-megapixel camera on the back with phase-detection autofocus and a two-tone flash, plus a 5-megapixel one in front. Both can record video at up to 1080p. The battery is non-removable and has a capacity of 2800mAh. Qualcomm's Quick Charge 3.0 is supported, and the company promises three hours' worth of talktime with just five minutes of charging. LTE is supported on both SIMs, on bands 3 and 40 in India. There's Wi-fi ac, Bluetooth 4.0, A-GPS, FM radio, and USB OTG. Oddly, microSD support tops out at only 64GB. The only things really missing here are NFC and infrared, which a few other phones do support. Overall, the specs are strong except for the choice of SoC, which is one we're more used to seeing at lower price points. Overall, the phone is still competitive enough to make this phone look good compared to most flagships which are priced above Rs. 40,000. Coolpad is clearly hoping that the Max's software features, build quality and looks will tempt buyers, and honestly, not a lot of people will feel that there isn't enough power. However, if you want features like 4K video recording and super-smooth 3D gaming, you'll have to look elsewhere. 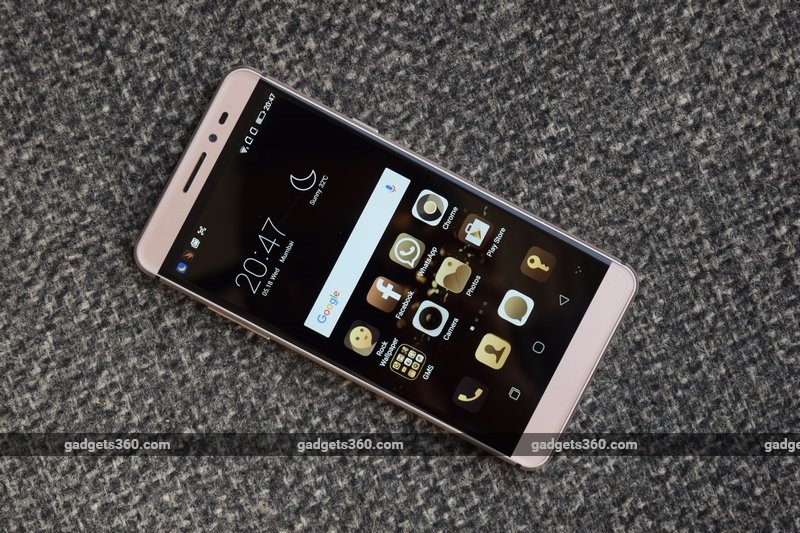 Coolpad's Cool UI is a heavy customisation on top of Android 5.1, and while there are some pretty major features, there are also annoyances. For starters, the default skin is completely sepia-toned, which might somewhat match the gold body but unfortunately makes it extremely difficult to distinguish app icons from one another. We didn't like the look, and had to dive into the Themes app to find something more practical. All app icons and widgets are placed on the homescreens, and unlike Coolpad's lower-cost offerings, there's no option of a "traditional mode" with an app drawer. There are also quite a few confusing text labels, most likely due to poor translations from Chinese to English. The phone dialler, contact list and messaging functions are merged into a single app with a tabbed interface, which isn't a huge problem, but was a little disorienting at first. The default keyboard is called TouchPal 2015 and has a number of extras such as preset phrases, a full-screen mode, and an optional T9 layout (for whatever reason). You can split it apart, resize it, or have it stick to either side of the screen. 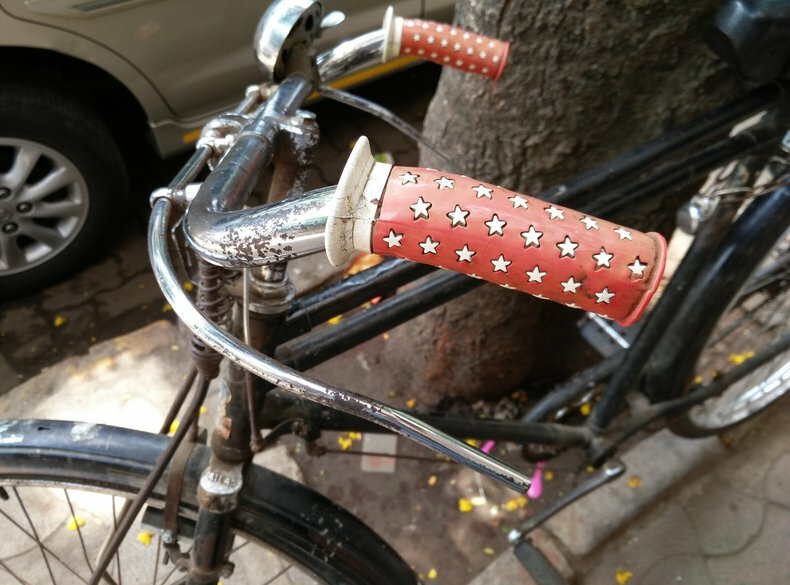 Google's Hindi/Hinglish keyboard is also available. You get quite a few preloaded apps. Cool Manager lets you free RAM, track data usage, monitor power consumption, and tweak app permissions. You can also block specific callers, firewall traffic from known ad servers, and lock apps with a fingerprint. Cool Service is another app which helps you locate authorised service centres on a map and call them. There are also quite a few interesting little touches in the Settings app. You can enable a split-screen mode which lets you run pretty much any of your apps in two independent frames, unlike many phones which only support specific apps. You can change the colour and layout of the on-screen navigation buttons. If you find the screen too large to reach across with one thumb, you can enable a floating button which brings up a circular menu that places a variety of controls at your disposal. Zen Mode is a scheduled "do not disturb" feature which lets you set exceptions for important contacts or alert types. But by far the most unique software customisations of this phone, and one of its defining features, is the "private space". Coolpad claims that this gives you two phones in one, and in effect, you do pretty much get a second, virtualised Android environment. You can enter the private space either through a shortcut in the dock or a bar just under the quick shortcuts in the notifications shade. One glaring issue is that you cannot easily protect the private space with a passcode or fingerprint. The Spaces Management section of the Settings app is protected, and from within this you can choose to hide both the dock icon and the quick settings bar. You can then go to the Fingerprint Management app and assign one of your registered prints to triggering the private space. This is a little clunky, and not exactly obvious to new users. On the other hand, it does make sure only you can get in with a fingerprint, and you can even make sure that the phone defaults back to the open space whenever it goes into standby. Within the private space, you'll find separate camera and voice recorder apps, and even second instances of Chrome, Whatsapp, Facebook and a few Google apps ready to run. You can even sign in to a different Google account altogether, so your apps are totally independent. The private space is encrypted, so you can't get to any files or apps unless you're using it. Even when you plug the phone into a PC, you won't see those files anywhere. If you want to move data out of the private space, you have to use the Spaces Sharing app or share it using the usual email and social options. Other companies including Samsung, BlackBerry, and Nokia have tried similar features to help people keep their work and personal data separate, and it feels as though Coolpad's implementation is designed more for personal privacy than corporate data security. The feature is based on Secure Spaces from developer Graphite Software, but doesn't have all its features, for example the ability to create any number of independent spaces for arbitrary purposes, or the ability for corporate IT administrators to control policies remotely. It's also quite unlike the "guest mode" or "kids' mode" features on some phones, because you can't use it to prevent people from using certain apps and snooping through your data unless you proactively and continuously hide everything you do within the private space. The Coolpad Max is pretty snappy for the most part, but does tend to get a bit warm when used for a long time. Even simple tasks seemed to make it heat up after a while. Everything runs smoothly, but sadly this phone becomes a bit uncomfortable to hold while playing games. Otherwise, things were generally pleasant. The screen is sharp and bright, with colours that aren't too punchy or too muted. Games and movies look great, except for the unavoidable reflections at the edges of the screen. The speaker is loud enough for casual use, and the bundled headset (which looks a lot like Apple's Earpods) is just about okay for music. The fingerprint reader was very quick but not always accurate, and it seemed to work on the second try more often than on the first. 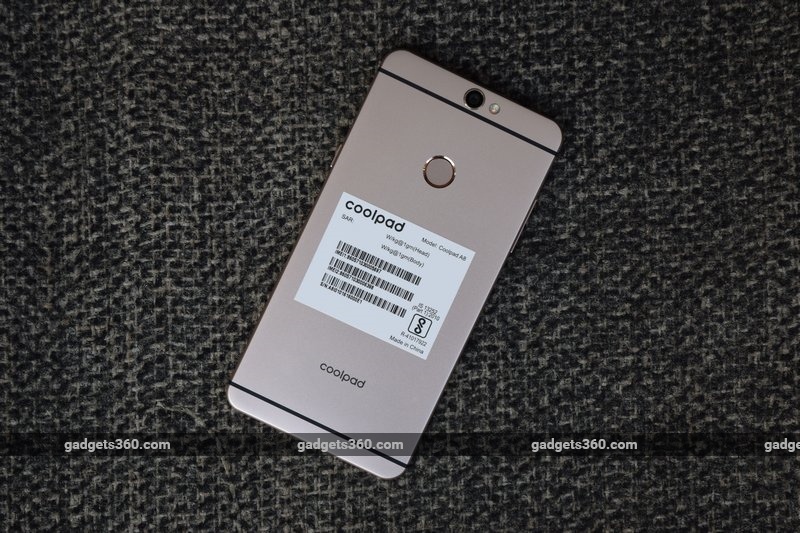 Switching between spaces took about 10 seconds, and the company that licensed the feature to Coolpad says it has minimal impact on performance, and extremely low overheads. We did not feel any difference in system responsiveness within the private space. We saw scores of 44,441 in AnTuTu and 25,120 overall in Quadrant. Graphics scores were relatively weak, with 17fps in GFXbench and 5,507 in 3DMark Ice Storm Extreme. We've seen equal or higher scores from phones that cost a lot less, such as the very recently launched Lenovo Zuk Z1 (Review | Pictures) and Moto G4 Plus (Review | Pictures). 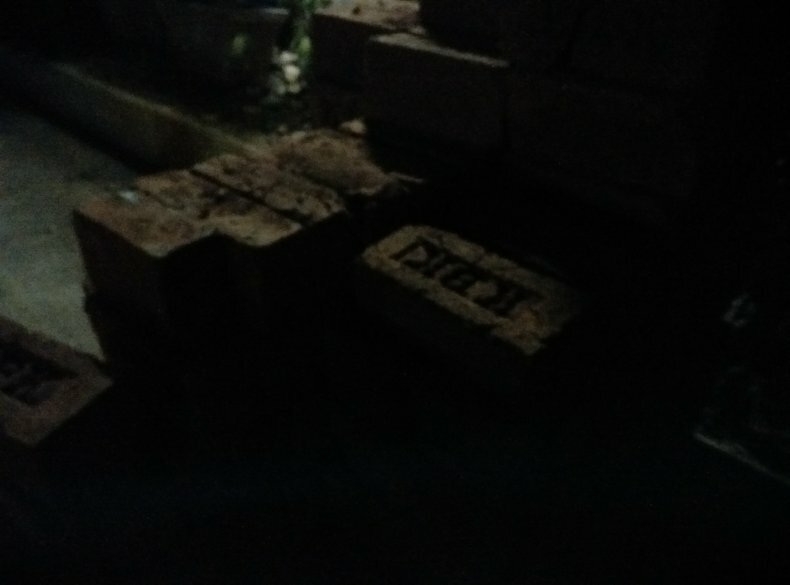 The camera turned out to be really good, with images coming out clean and free of compression artefacts and noise. Fine textures were reproduced well, even in shaded areas. Even depth of field effects looked great in close-up shots. The main problem seemed to be locking focus, and some of the shots we took in relatively favourable conditions came out blurred. 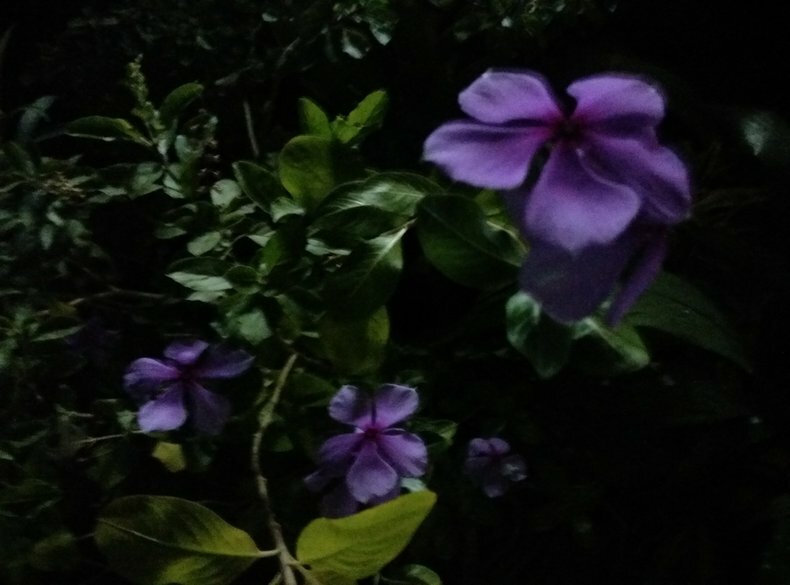 The phone did well even in low light, capturing details and colours that would usually be lost. Blurring was a lot more severe here, and we did start to see noise, but photos were still very usable. Videos came out quite smooth and sharp at 1080p, though just a little dull. The battery lasted 8 hours, 41 minutes in our video loop test. We easily made it through a day of moderate usage, and the Quick Charge feature is truly useful. You shouldn't have to reach for the charger during the day, but even if you do, you'll only need it for a few minutes at a time. Coolpad definitely wants to get more serious in India, and is in discussions with offline retailers to expand its footprint. The Max is an interesting phone, but heats up a lot and is seriously overpriced if all you're looking for is an everyday workhorse. Its value comes mostly from the private space feature and somewhat from its looks. That said, lower cost phones tend to have poorer cameras and battery life, so Coolpad does provide more in terms of overall quality beyond just raw performance. The private space feature is neat, but it's no substitute for a proper privacy solution that lets you manage your personal life while your IT administrator at work manages sensitive information and policies. There is also a significant difference between something being hidden and it being a secret. it's going to be well known that this phone has a private space feature, so there's no plausible deniability, which means your hidden activities aren't truly secret. The mode is useful as a way to avoid carrying two phones but not necessarily to keep sensitive data completely secure. 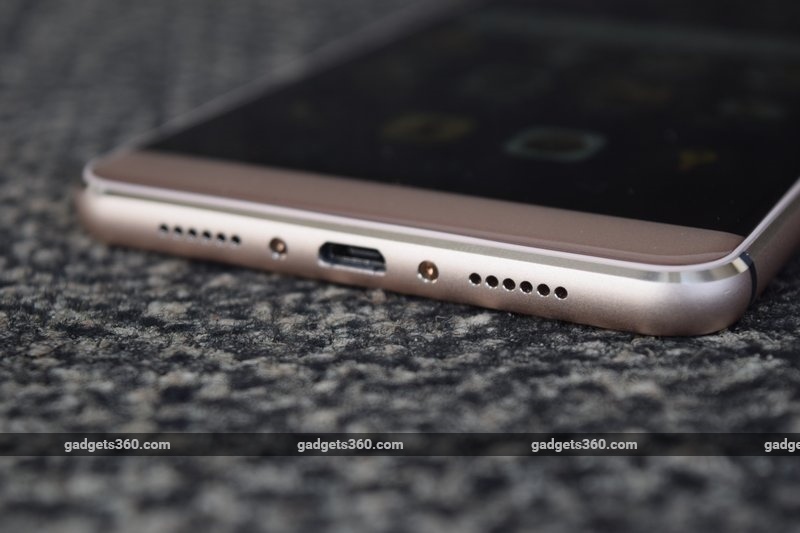 In terms of features, you get more than you would with the similarly priced Samsung Galaxy A5 (2016) (Review | Pictures). The bigger problem is that you can get a lot of other phones which work nearly as well for a lot less money, even if they don't look that premium. Go for the Coolpad Max if you want great features and are willing to spend this much, but you can easily save some money if you feel that you can live without the Coolpad Max's unique features. 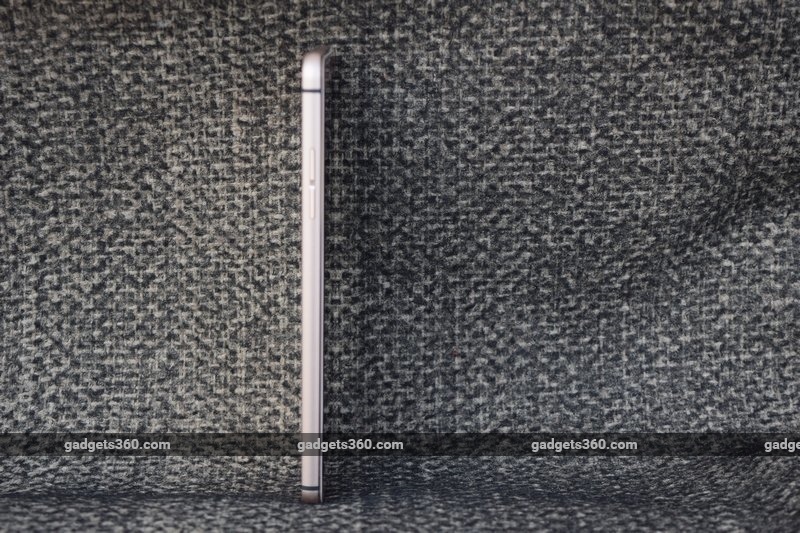 product The new Coolpad Max marks the company's first foray into India's premium segment, and it has a number of interesting features for the price.